What many homeowners in Chandler, AZ, and neighboring communities love about our remodeling process is that it is all inclusive; rather than traveling around town to coordinate with multiple professionals, they can instead have their luxury bathroom designed and constructed with the convenience of having one point of contact. Premier Kitchen & Bath also boasts an incredible amount of experience with luxury bathroom design and construction. 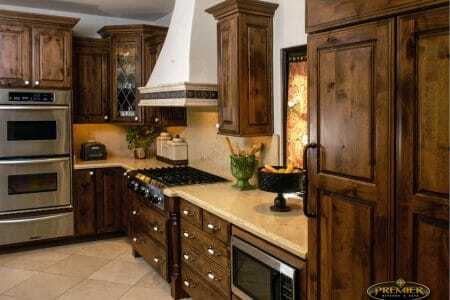 Founded in 1994, we have been remodeling homes for decades. Combined, our staff has more than 150 years of design and remodeling experience, so you can trust that we are true experts in our trade. Together, our comprehensive remodeling process and industry expertise have enabled us to maintain an A+ rating with the Better Business Bureau. We are also proud to note that we have earned a spot on the Top 500 Remodeler list by Qualified Remodeler. Contact Premier Kitchen & Bath today if you are interested in having a luxury bathroom designed for and constructed in your home. We proudly serve residents of Chandler, AZ, and surrounding communities.